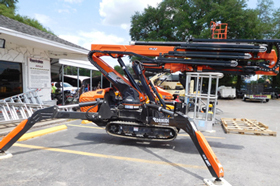 The KB22 cranes have three stage telescoping hydraulic booms with knuckle sections and hydraulic jibs for accurate positioning. 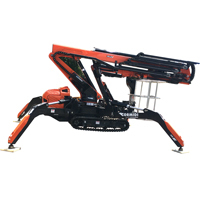 As a work access and under-bridge platform, the KB series uses the flexible boom system to lift an operator up and over, then underneath a bridge for repairs and maintenance. Offering a 22 m working height for the KB22, and 11.3 m horizontal side reach and 4 m down reach for under-bridge work.